My aircraft is currently at the FBO undergoing an overhaul. Do I need to have my own insurance policy, or will the FBO’s policy cover the aircraft? It’s strongly recommended that you cover your aircraft with your own policy. Some FBO’s will carry hangarkeeper’s hull coverage (which is designed to protect the FBO in the event of damage to an aircraft under the care of but not owned by that FBO). Many do not carry hangarkeeper’s coverage. Additionally, even if the FBO’s policy includes the proper Hangarkeeper’s coverage, it may not pay out for certain types of losses, like those resulting from windstorm, vandalism, or mechanical failure, for example. If the FBO is not legally liable for the loss, the insurance company might not pay. What limit of liability should I carry? There is no one method to determine the amount of liability coverage you should have; however, there are several factors you may want to consider: average passenger load per flight, types of passengers (employee, guest, etc. ), and the assets you need to protect. I am operating under Part 91. Am I covered to charge for the use of my aircraft? It’s a common misconception that your policy will cover all Part 91 uses. Most insurance policies do not define your covered use in coordination with an FAA defined use. You need an agent that understands the difference between the Non-Commercial use of your turbo prop and the FAA Part 91 use. Not knowing the difference can leave you uninsured in the event of a loss. You are hereby notified that under the federal Terrorism Risk Insurance Act of 2002 (the “Act”) effective November 26, 2002, and its amendment, the Terrorism Risk Insurance Extension Act of 2005 (jointly referred to as the “Act”), you now have a right to purchase insurance coverage for certain losses arising out of an Act of Terrorism, which is defined in the Act as an act certified by the Secretary of the Treasury (i) to be an act of terrorism, (ii) to be a violent act or an act that is dangerous to (A) human life; (B) property or (C) infrastructure, (iii) to have resulted in damage within the United States, or outside of the United States in case of an air carrier or vessel or the premises of a U.S. mission and (iv) to have been committed by an individual or individuals acting on behalf of any foreign person or foreign interest, as part of an effort to coerce the civilian population of the United States or to influence the policy or affect the conduct of the United States Government by coercion. You should read the Act for a complete description of its coverage. The Secretary’s decision to certify or not to certify an event as an Act of Terrorism and thus covered by this law is final and not subject to review. There is a $100 billion dollar annual cap on all losses resulting from Acts of Terrorism above which no coverage will be provided under this policy and under the Act unless Congress makes some other determination. For your information, coverage provided by this policy(ies) for losses caused by an Act of Terrorism may be partially reimbursed by the United States under a formula established by the Act. Under this formula the United States pays 90% of terrorism losses covered by this law exceeding a statutorily established deductible that must be met by the insurer, and which deductible is based on a percentage of the insurer’s direct earned premiums for the year preceeding the Act of Terrorism. Coverage for acts of Terrorism under your policy is included for an annual premium amount as below-referenced. I am a student pilot. What type of aircraft do you recommend purchasing? This answer can vary depending on what you want to do with the aircraft, how much you want to spend, where you plan to fly, and what type of flying you want to do. Discussing all of these things with your agent can help you make the decision on which aircraft will best fit your mission. We can competitively insure student pilots in almost any type of aircraft. When do you recommend ground-not-in-motion (storage) coverage? Each company takes into account that an aircraft may be occasionally down for repair. For this reason most companies will not offer competitive coverage for a short term storage policy. If the aircraft is being built or rebuilt, a longer term storage policy can usually be purchased at a reasonable rate. Do you offer any aviation association member discounts? Yes. We are able to offer significant discounts to members of several organizations. Be sure to have membership card and # available when calling for a quote. When are insurance premiums due? Almost all aviation insurance policies are annual, and it’s important to note that they do not renew automatically. The full premium is generally due by the start date of the policy. For new accounts and endorsements made during the policy period that result in additional premium due, payment is due immediately. Some premium finance options may be available. Please ask your agent for details. Are there any taxes or surcharges that will be added to my premium? Taxes and surcharges depend on the State in which your aircraft is based. Currently, policies for aircraft based in Florida, Kentucky, New Jersey, and West Virginia have taxes and / or surcharges. The rates vary depending on the State. These taxes and fees are mandated by State insurance regulations. Can I cancel my policy during the policy period? Yes, by sending a written request that must include the date you wish the policy to cancel as well as your signature. In most cases, your insurance company will also require the original Declarations page(s) from your policy. What are the Declarations page(s)? The Declarations page(s) (also called Coverage Summary Page by some insurers) is usually the first page of your policy. It lists your name and address, the aircraft description, and your insurance limits. Depending on the insurance company it will be either one or two pages long. If I cancel my policy prior to the stated expiration date, am I entitled to a fullrefund of the unused portion of the premium? Most policies state that if the policyholder cancels the policy prior to the stated expiration date, the return premium will be calculated short rate. What is short rate cancellation? The most commonly used method reduces the unused policy premium by 10%. Here is an example: If your annual premium is $12,000 it equates to $1,000 per month. If the policy is cancelled with 6 months remaining on the policy the return premium will be approximately $5,400. ($600 short rate cancellation fee retained by the insurance company). Some insurance companies will have a minimum earned premium. Can I find reasonable insurance after an accident? Accidents happen. In most cases, the future insurability of the pilot who had the accident is based on the claim itself. A large insurance claim may have a greater impact on your insurability. If the claim was caused by a mechanical malfunction and had nothing to do with the pilot, the underwriter may be more understanding. In cases of pilot neglect or error, a new insurance policy can be a bit more difficult to obtain. An aviation insurance specialist is needed to assist in these unique situations. Rates are quoted on an individual case by case basis, so please call for your individual quote. I rent or borrow an aircraft. Should I purchase an insurance policy? Yes. Purchasing a non-owned aircraft insurance policy is a good idea. The owner’s policy may not include coverage for permissive pilots. The aircraft may be underinsured or uninsured. Even if the owner’s policy pays, the insurance company may subrogate. You may be liable for the damages. I purchased an aircraft from a friend. Can I just keep his insurance policy? NO! The owner or the insured entity of the insurance policy must have an insurable interest in the aircraft. Aviation insurance policies can not be transferred from one owner to the next. Even if the former owner has paid for the policy in full and hands the policy to you there is no coverage. Please call our office prior to aircraft ownership. We can confirm whether or not proper coverage is in place. What is the difference between a per person sub limit and a per passenger sub limit? The majority of General Aviation light aircraft policies include a liability sub limit. The liability limits including sub limits are usually worded “$1,000,000 combined single limit bodily injury and property damage subject to $100,000 ‘per passenger’” or, in some cases, “per person.” A passenger is different than a person. Examples: In a per passenger policy a person who is not defined as a passenger may be able to collect the whole liability limit of $1,000,000. In a per person policy any bodily injury claims will be limited to only $100,000. What factors do insurance companies use to determine my premium? All aviation insurance companies are different. Factors include the age of the aircraft, use of the aircraft, experience of the pilot, loss history of the make and model, territory in which the aircraft is used, pilot training, value of the aircraft, and limit of liability. For these reasons it is important to work with an aviation insurance specialist who knows the market and understands how to place your individual risk. Why are your rates so much less for the same coverage I have with another broker or company? The insurance industry is based on actuarial statistics and loss ratios. Loss ratios are determined by past and predicted losses. In auto insurance, life insurance, home insurance, and other standard markets, millions of units are available to help determine rates. In the United States, we have only about 250,000 – 300,000 aircraft on which to base rating and underwriting guidelines. It is much more difficult to determine a premium for an individual risk because a single accident can determine a profit or loss for an insurance company. One insurance company may rate an aircraft / pilot combination two or three times more expensive than another company for the same coverage. It is important to use a broker who specializes in aviation insurance to help navigate the aviation insurance marketplace. I have a corporate jet or turboprop. My corporate pilot is a very experienced professional pilot. He completes school in other aircraft on a regular basis. Does he need to go to school in my make and model aircraft? Most insurance policies will require pilots to complete annual factory-approved school in the make and model for all turbine aircraft. There are exceptions to the rule based on several different factors. Always consult your aviation specialist. Can I just list my CFI as the only pilot since I am inexperienced and don’t plan to fly as pilot in command? No, all pilots flying the aircraft whether they are Pilot In Command or receiving dual instruction need to be reported to the insurance company. Always consult your aviation specialist, don’t chance voiding your coverage. How long does it take to start a policy? We are usually able to bind coverage during the conversation with the agent. Please call for details. If I increase the deductibles, will my premium go down? This is one instance where aviation insurance is different from auto or home insurance. In aviation insurance, the deductibles are usually a set part of the policy, and they generally do not change premiums. Why do I have to fill out an update form each year? In some cases, the insurance company will not release renewal terms without updated underwriting information. More importantly, we work hard each year to get you the best coverage at the lowest possible premium. We ask you to give us an update each year to make sure that we are basing our quotes on your most recent experience. Can my local non-aviation specialist broker help with my aviation insurance? An experienced aviation specialist has the knowledge and contacts of the aviation insurance marketplace. He or she can help you understand the different types of coverage available. Your broker needs to be an expert in policy language and everything aviation related. What is the difference between an insurance company and an insurance agent? An insurance agent places the insurance coverage with the insurance company. Most insurance companies work only through insurance agents. The insurance company creates the policy and pays the claims. The companies differ in their business focus, policy language, pricing, and claims support capability. It is a broker’s job to place the individual customer with the insurance company that best fits his needs. Does my current personal liability umbrella or business liability policy cover my aviation risk? Coverage for physical damage or loss to your aircraft, or coverage for liability related to any aviation operation, is almost universally excluded from a business or homeowner’s insurance policy. To obtain this kind of coverage, you must purchase a specific aviation insurance policy. Can I charge others for the use of my aircraft? Most personal aircraft insurance policies will allow for a small amount of cost reimbursement. Some policies will not allow for any cost reimbursement. It is always important to read your policy and talk with your agent or attorney to help determine if cost reimbursement or a fee can be charged. Commercial policies are different and can be obtained. Please ask your professional Travers representative to clarify. An Open Pilot Warranty is the minimum qualifications required to be approved to fly the aircraft without being a named pilot. The pilot must meet every qualification of the open pilot warranty to fly the aircraft. Some policies do not contain Open Pilot Warranties. In many cases, we can request to specifically approve a pilot who does not meet your specific Open Pilot Warranty on your policy. I just made major upgrades to my aircraft and I want to increase my hull value; what do I need to do? Changing your hull value can be easy. In some cases, we can increase the value over the phone. In other cases, your insurance company will require an equipment list including the avionics in the aircraft, engine hours, paint quality, interior quality, and time on the airframe. My airport wants to be listed as an additional insured on my policy. How does that affect my insurance? This is a common requirement at many airports where you hangar your aircraft. Anytime an Additional Insured is added to your policy the limits of liability are shared with that entity. I have a personal aircraft insurance policy and I am a CFI. Can I give instruction in my aircraft? Depending on the insurance company and your preference, we will mail or email the policy to you the same day we receive it from the insurance company. Some of the insurance companies will send the insurance policy to us quickly. Other insurance companies can take up to four weeks to print and mail the policy to us. I applied for a quote and bound coverage. 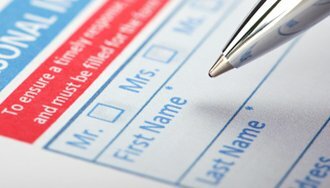 Why do I need to return an application after coverage has already been in effect? All aviation insurance companies require a new application if you are a new customer to them. This application is specifically worded with your individual effective date, your exact liability limits, your hull value, and questions tailored to your exact policy. Even if you have already started a policy, the insurance company will require an application with your information and an original signature. The application becomes part of your policy. Many insurance companies require a new application every three years if you are a current client. CSL stands for combined single limit. If you have 1 CSL, you have $1Million Dollars combined single limit. You may have a per passenger or per person sub limit under the $1,000,000 CSL. What steps do I take to add a pilot to my policy? In order to add a pilot, we will need to submit some basic information about the pilot to the underwriting department at the insurance company. Once approved, we will know if there are requirements or any changes in premium. Is Mexican Liability included in the liability limits of my policy? Mexican Liability is not included as part of your aviation insurance policy. It is an insurance requirement of the Mexican Government that requires the purchase of Mexican Liability insurance from an insurance carrier licensed in Mexico. Your aircraft insurance company may or may not offer this coverage for an additional charge. If you are planning a trip to Mexico, please call our office to discuss your options. Are you able to email my policy to me? Yes. Most aviation insurance companies deliver policies electronically. If the company that you have placed coverage with is delivering policies electronically, then we will have the ability to send you the policy via email (provided we have a current email address for you on file). What is your physical address for overnight delivery? What happens if I add a low time pilot? Often we can add lower time pilots without too much disruption. We specialize in tough-to-place aircraft and pilot combinations. As aviation insurance specialists, we are the agents that you want working on a risk other agents may find difficult to place. Do I need to call multiple aviation insurance brokers? No. 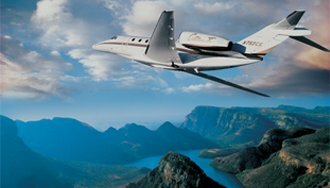 Our agency has access to all of the major aviation insurance companies. Each year we will shop the markets for you. Our job is to find you the best price and policy for your operation. It is best to pick an aviation specialist you are comfortable with and let that broker shop the markets for you. Our job is to find you the best price and policy for your operation. What can I do to lower my premium? One of the biggest factors of premium is the pilot experience. Make sure we have your most up-to-date hours to ensure the best rate. Training is also an option to help reduce insurance cost. Some companies give discounts for annual training. Where can I fly my aircraft? Each policy varies in coverage territory. Please consult your insurance policy or your Travers representative.